Conflict is all too common in the church today. But as Frances Taylor Gench reminds us in this book, conflict over scriptural interpretation has been with the church since its earliest days. 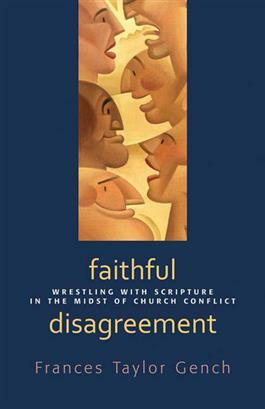 Gench reflects on those early experiences of conflict, presenting substantive studies of biblical texts showing that discord (such as Romans 14-15; Matthew 14; Jeremiah 28; 1 Corinthians 12-14; John 13-17) and drawing lessons from each about how it informs current conflicts in the church. In the process, she provides a constructive resource to help Christians wrestle with Scripture in the midst of their disagreements. This innovative book can be used by individuals and in groups. Numerous study questions conclude each chapter.